When Does Coach Cristobal Have an OFFENSIVE EPIPHANY? When the Ducks win, I am hard to be around. The only time it is worse is when I am the first to publicly state a major issue–and to be right about it. I began voicing concerns about the Oregon offense after the San Jose State game, and last week declared that this was a warning sign. Is Coach Cristobal going to come to an offensive epiphany, as Willie Taggart did in 2017? It was the same week a year ago — October 28th — when Oregon played Utah. 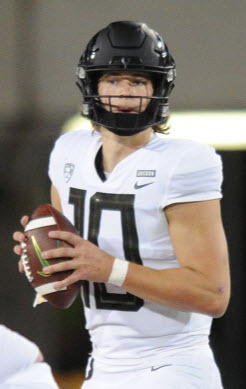 Justin Herbert was out and the Oregon offense was going nowhere with the replacement QB. Coach Cristobal spent the week in the office and even slept there. What was he doing? I believe he was going over the old Oregon offense in video and the old playbook. That week, Oregon burst into a rushing attack versus Utah with the old Oregon offense, winning 41-20 while Royce Freeman had 139 yards, and Tony Brooks-James had 105 yards. 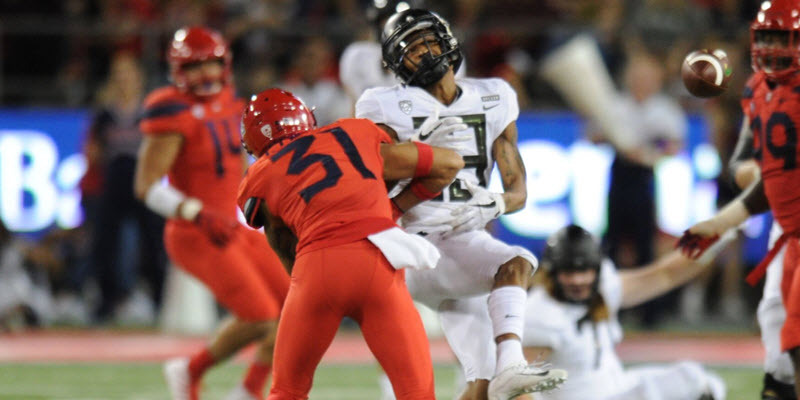 The next week against Arizona, we saw Royce run for 139 yards and TBY tack on 124 yards in a 48-28 win. Those were the days! (Remember we won with Braxton Burmeister at quarterback versus Utah). From the Utah game onward, Oregon ran a combo offense containing the Gulf Coast, Cristobal’s Alabama influence, and the old Oregon Spread Offense from Chip Kelly/Mark Helfrich. It worked until the bowl game, where the Ducks went away from the diversified offense to embrace the emphasis that Cristobal wanted to instill. Bringing up concerns are not knee-jerk or disloyal, as we cannot deny what we see on the screen. Perhaps time and patience will solve some of our concerns, but there are other ones that actually might get worse. Chip Kelly had a system of responding to how defenses would attack the Ducks the way that Dana Altman has for his highly successful Men’s Basketball squad. 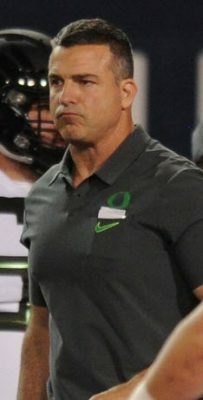 Prior coaching staffs were known to probe the opposing defenses in the first half to determine the game plan against the Ducks, and then would implement counters-to-the-counters in the second half. I see no discernible “system” to how Cristobal and Arroyo are responding to the counters from opposing defenses. Oregon is averaging only 24 points per Pac-12 games in regulation. This may be fine in the SEC, but will not win many games in the Pac-12 where you must score a ton of points. Cristobal and his staff are learning at our expense, the fans of Oregon, instead of being able to learn from the lessons of others before in Eugene. There are fundamental questions we have to ask ourselves: What kind of offense did you want to see the Oregon opponents use when Chip was the coach? Answer: the type we have right now. You knew Oregon would outscore that plodding opponent, and you knew the Duck’s defense could jam the inside gaps to thwart most of the running attack of this opponent. Are we playing into hands of other coaches in the conference? Can this offense average over 43 points a game as it did from 2009 through 2014? If not, why not, or why change from it? If defenses can be worn down by the new offense, couldn’t they get worn down running side-to-side with the old offense as well? I believe the call for restraint and patience can be construed as wise. Yet, there are also times to rethink your strategy, and I hope Coach Cristobal is doing so. Will he have an offensive epiphany as the Ducks did last year? Good News! We have our first Oregon Mens Basketball article on Thursday, another two weeks later, and then beginning the week of November 29th–every week through April! Bob Rickert gives me more basketball information in two minutes than I’ve known my entire life, so we are pleased to welcome him and his expertise back to FishDuck.com.